Vladivostok occupies the southern part of the Murav'ev-Amursky peninsula. It is located in the Zolotoy Rog Bay. The city stretches along the eastern coast of the Amur Bay, more than 9,000 kilometers dividing it with its capital. The city port is located on the Pacific coast. Also in Vladivostok there is a large airport of international importance. The climate in the city is monsoon; precipitation falls on the order of 690 millimeters a year, most of them in summer and spring. The city has a wonderful aquarium, a botanical garden, beaches, and a lot of attractive attractions and entertainment. 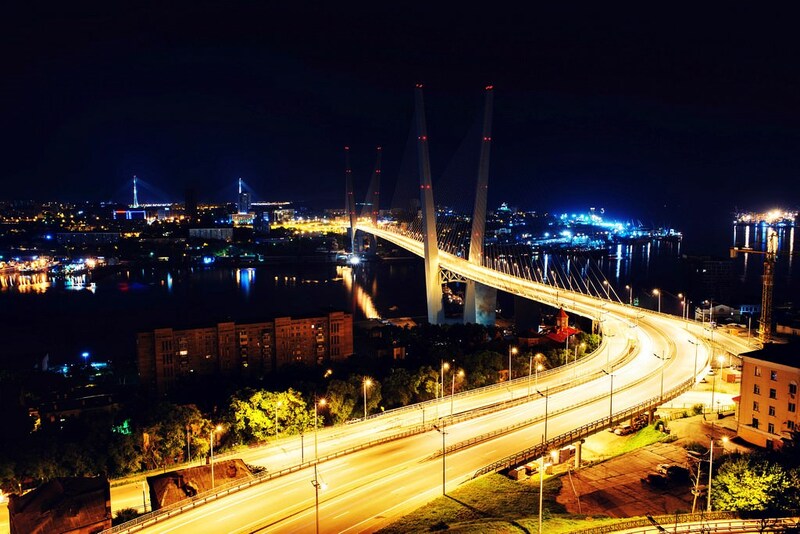 Vladivostok is a fairly large-scale city with an area of 561.5 square kilometers. The city was explored by Russian seafarers in the middle of the 19th century, and in 1860 on the shore of the Zolotoy Rog bay the crew of the Russian sailboat "Manchur" founded a military post, which was later named Vladivostok. 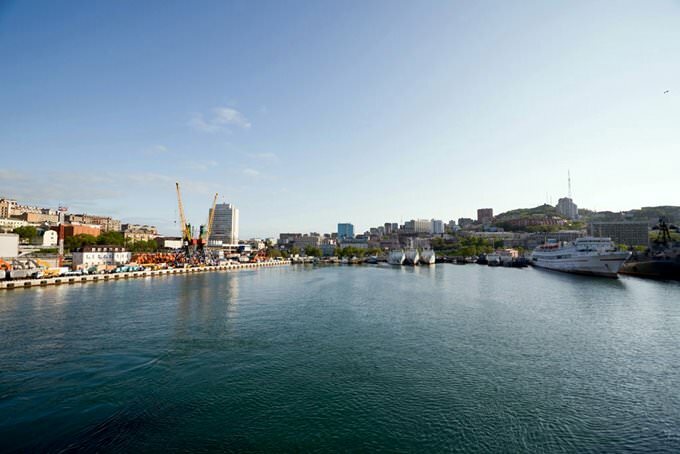 Soon Vladivostok became the administrative center of the district, and in 1879 the steamship line connected the city with St. Petersburg and Odessa. 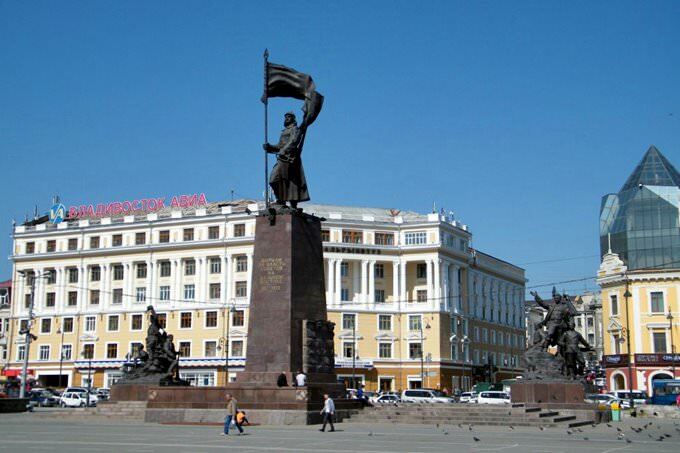 In 1880, a special "military governorate" was introduced in Vladivostok, and it received the status of a city. 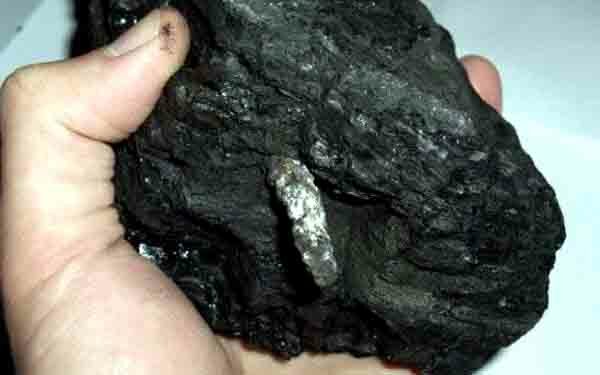 From 1888 it became the center of the Primorsky region. Foreign traders actively imported flour, tea, rice, sugar, groceries and manufactured goods into the city. Crabs, wood, dried fish, sea kale, trepang and other priceless seafood were exported from Vladivostok in huge quantities. In 1917, after the accomplishment of the revolution, the government constantly changed in the city. In April the next year in Vladivostok, a military landing of American, Japanese and British troops landed. Later, Admiral A.V. Kolchak arrived here, and in early 1920 power was transferred to the zemstvo council. Only in the early 90s of the last century did Vladivostok gain political stability, begin to develop and confidently look to the future. Vladivostok is a real trove of attractions. One of the main symbols of the modern city is its cable-stayed bridges. There are two such bridges in the city. The Golden Bridge is 1.5 long, and the Russian one is 1.1 m long. These constructions are incredibly beautiful and spectacular. It is interesting to admire it in the afternoon, as well as in the evening when they are decorated with artistic lights. The main temple in the city is the Cathedral of the Protecting Veil of the Mother of God. The first church at its site was built at the beginning of the 20th century. In 1935, it was completely destroyed. In the Soviet era, there was a park at its site. In the early 90s of the last century, the city government decided to restore the church. It was rebuilt almost in its original form in 2007. The oldest religious construction in the city is the Church of St. Paul. It was built at the beginning of the 20th century. The author of the church project was the architect G. Junghändel. The church was built in the style of German Gothic. After the Revolution, the religious building was rebuilt into the cinema and then into the club. Over the last several decades, the historical building served as the Museum of the Pacific Fleet. It gained its original religious status in 1997. In the beautiful modern building, there is the Oceanarium that is included in the list of the most visited attractions of Vladivostok. From the outside, the huge building resembles the valve of the big seashell. It was opened not so long ago, in 2016. Now, its visitors can see rare fish, crustaceans, jellyfishes, dangerous sea predators, and other exotic sea dwellers. The guests of Vladivostok will have an opportunity to visit the biggest Botanical Garden in the Far East. It belongs to the Far Eastern Branch of the Russian Academy of Sciences. The Garden was founded in the late 19th century but has existed for a long time. The present Garden was set up after the Great Patriotic War, in 1949. There are hundreds of plant species that you can see in the shadowed corners of the Ussurian taiga. In the summer, thousands of fragrant flowers blossom in the garden. Due to indoor pavilions, the garden is open for tourists all year round. This guide to iconic landmarks and sights of Vladivostok is protected by the copyright law. You can re-publish this content with mandatory attribution: direct and active hyperlink to www.orangesmile.com. Check on the map: Distance from Vladivostok center - 4.4 km. 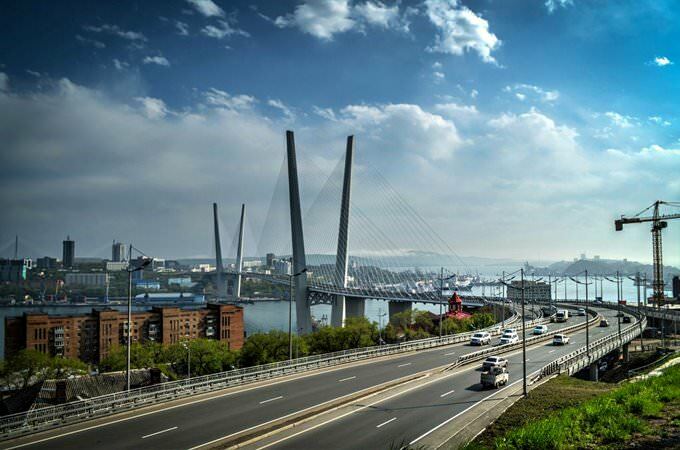 All about Vladivostok, Russia - sightseeings, attractions, touristic spots, architecture, history, culture and cuisine. Prepare your trip together with OrangeSmile.com - find out the 'must see' things in Vladivostok, which places to visit, which excursions to take, where the breathtaking views are waiting for you. 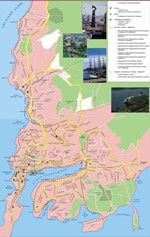 Planning your trip with this travel guide will help your to get the most out of Vladivostok in few days.